Get out of my head, Joan. Your list reads like my own script. Thank you for putting it into words. good to know my craziness is not "special"!!!! Interesting to read Joan. Good to know ! After retiring from the government, you deserve stress-free crafting! I think you made a wise decision. :) I also wonder sometimes how reliable an endorsement of a product is when they are getting "paid" to endorse it. thanks for the note. A lot of what I see linked through affiliate marketing programs are basics -- well known stamp sets, inks, embossing powders and the like -- things we all buy and use. In those instances, I don't question the use of an affiliate link at all. On the other hand, I always like to wait and see what a wide range of folks think about a completely new product before jumping in; although I admit that I don't always exercise restraint! I totally get what you are saying...(and you are a wise woman to know yourself so well) but I wish you weren't so hard on yourself. I always enjoy your blog and your stamping. Your way with words, coupled with your delightful cards is always such a treat. Keep on keeping on. thanks. I'm happy to craft on my own terms. trying to be something I'm not is not a good thing! All of the above, especially the part about worry and paralysis over not being good enough. Sometimes I get pretty bad about that. you know I am one of your biggest fans so I am not going to say you are too hard on yourself. we are who we are!! And we need to live with it. would love to make $$ crafting, but it isn't me and I'm fine with that. Thanks. I don't find affiliate links offensive at all. I am thrilled to help out my crafty friends, so I totally understand where you are coming from. Hi Joan, I respect and understand your reasons for turning down affiliate links, but I wanted to say as a reader and buyer I would love for you to get a commission for any item I might purchase after seeing your work. It would make me feel as if I were participating in your "success" as a blogger/writer. Although we all know that money doesn't always equal success, it does help support your efforts. Anyway, I love your humor and skills and enjoy your blog very much. Thank you for sharing your wonderful self! You know, Trish, a comment like this is worth more to me than a commission. Thank you. This was very interesting and echoes many of my own feelings regarding getting into the business end of stamping. I worry it would interfere with the pure joy and relaxation I get from the craft. Thanks for this post - it is nice to know someone has similar thoughts. thanks. part of me really wants the $$ but not enough!! I admire the bloggers who go after it. I loved your expose' about affiliate marketing and how it would affect the way you create and craft! I have had a crafty blog in the past and let it go for a lot of reasons - but I echo your sentiments pretty closely! If crafting is fun and you can work it and still find joy-that's fabulous! But I am very self critical and I think I would make myself nuts about it. That being said - I really love your crafty creations and I would also support you if you changed your mind! Thanks for your note. 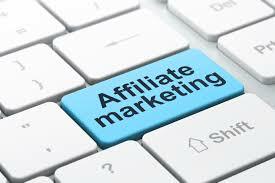 The wonderful thing about affiliate marketing is that there IS no pressure. It is totally up to the stamper how much to take advantage of it. I wish that I had the mojo or whatever to participate!!!! I admire the crafters who do! Great post! I always love to hear your perspective, Joan! I can relate to much of what you said for sure. Thank you Joan. Both for explaining "Affiliate Marketing" and for declining to do it. I totally agree with your reasoning. I sell CTMH stuff and already feel "pressure" to post things that are new and current and on trend. I really hate that and have almost decided to let it go (i.e. not be a consultant any more). But I've been with them 15 years now and my customer base is good (do not translate that into making money - I don't). So, back to you, I understand and I thank you for your honesty. Hugs! I think you are very wise for listening to your inner voice. It sounds like for you, it would add a layer of ick that may take away the crafting joy. I can relate. I love your cards, your wit, and your blog. You are a delight and your art is inspiring. I think if I were in your shoes, I would make the same choice. I don't think pressure enhances your mojo! Not mine, anyway. To me, stamping is a hobby and I want to keep it fun.